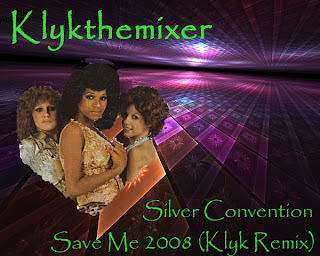 Latest post is this classic track from the first album by Silver Convention, 'Save Me', was always my favourite song from them. I have extended and reworked the intro and added more percussion, bass and drums to complete this refreshing mix of a great 70's disco tune. I've been able to find most of the Silver Convention albums (I just love going through used record shops, especially one Salvation Army shop I regularly visit. You can really make some real bargains there), just today I found their second album. This mix of Save me I just love, sounds so fresh even though the song itself is 34 years old! You make amazing mixes! Hi, my grand-daughter told me it was very easy to put it in my iPod, but now I see it is very difficult to do.